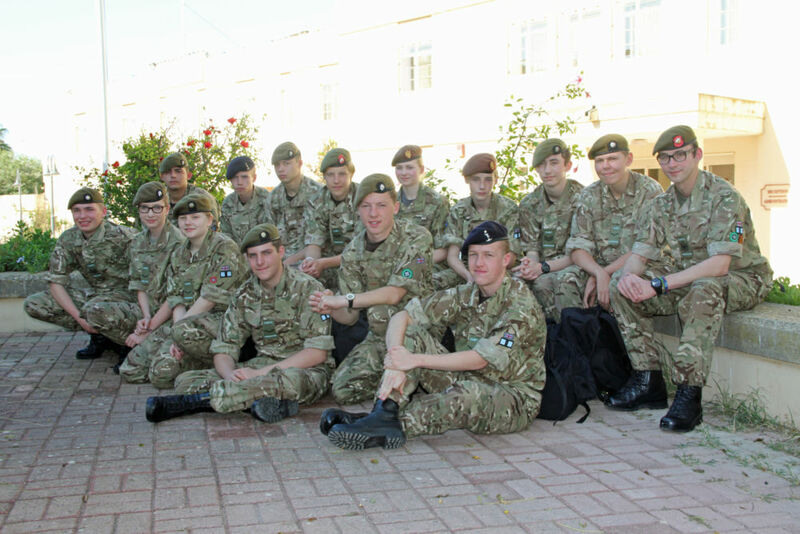 Twenty adult volunteers from Leicestershire, Northamptonshire and Rutland Army Cadet Force (LNR ACF) are set to ride 645 miles on static exercise bikes this weekend to raise money for two causes close to their hearts. The cyclists, each from LNR ACF’s B Squadron based at the Army Reserve Centre on Brentwood Road, Leicester, are set to take it in turns to hop on and off two exercise bikes over a 24 hour stretch to replicate the distance between LNR ACF’s HQ in South Wigston, Leicestershire and Hohne in Germany, where the 9th / 12th Royal Lancers (Prince of Wales’s) are based. The Army Cadets of B Squadron are affiliated to the Royal Lancers. The volunteers have been working hard to raise as much money as they can for both Heart Link Children’s Charity and the Army Benevolent Fund (ABF), collecting funding via their Just Giving page and in person. They hope to raise £2000 by Sunday. Detachment Commander Adam Stringer, aged 26, is based at B Squadron’s South Wigston detachment and is taking part in the cycle. He said: “The reason we wanted to do this charity cycle was to push the adults to their limits whilst raising money for the two charities. We encourage our Cadets to push themselves outside their comfort zones to learn new skills throughout the year, so it has been great getting encouragement back from the Cadets for this challenge. “As the 9th/12th Royal Lancers (Prince of Wales’s) are amalgamating in early 2015 with the Queen’s Royal Lancers, we wanted to do something that almost every Lancer could relate to. Most have driven through the UK to the Regimental Home in Hohne, Germany so when I had the bright idea of doing this mammoth task on fitness bikes cycling the same distance as this made sense! We will be cycling 645miles, in 24 hours on the fitness bikes at LNR ACF’s HQ onTigers Road. The volunteers will begin cycling at 10am on Saturday 4 October at LNR ACF’s HQ on Tigers Road, Leicester and will continue until 10am on Sunday 5 October.